We took advantage of the sunny spring days to continue working with kites. 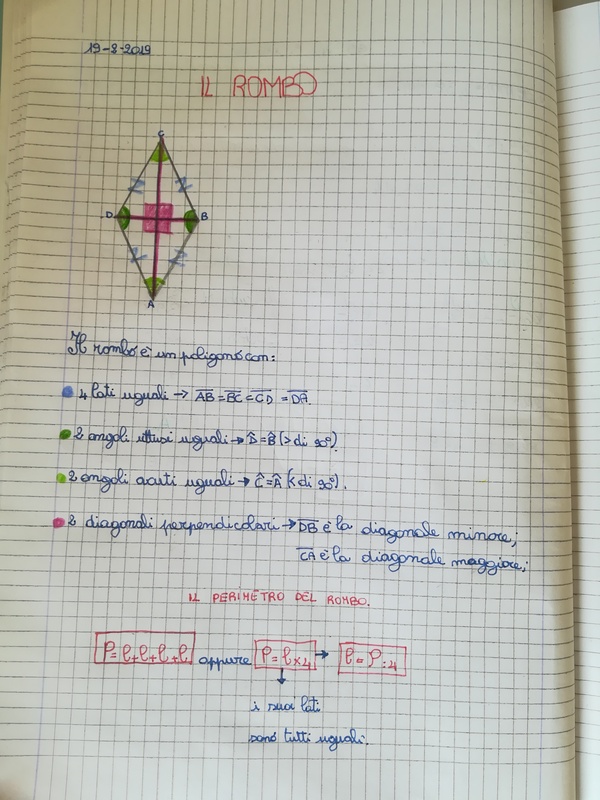 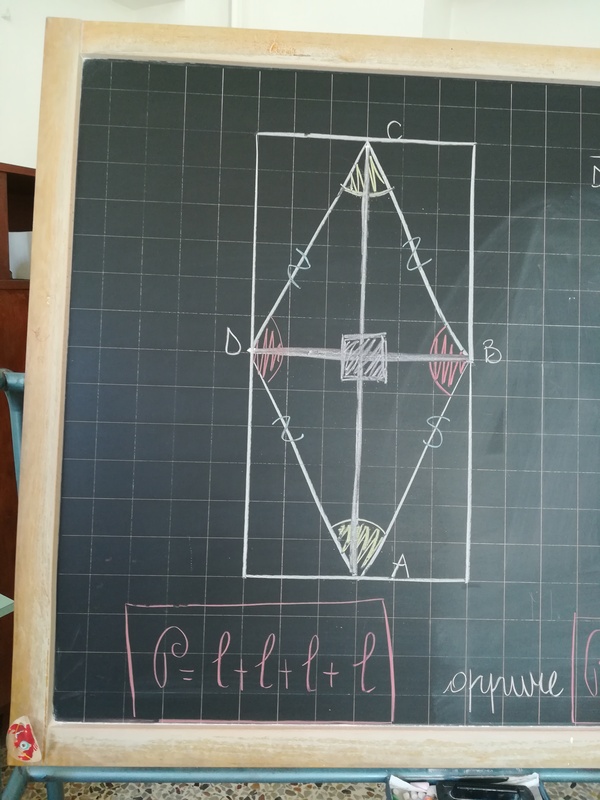 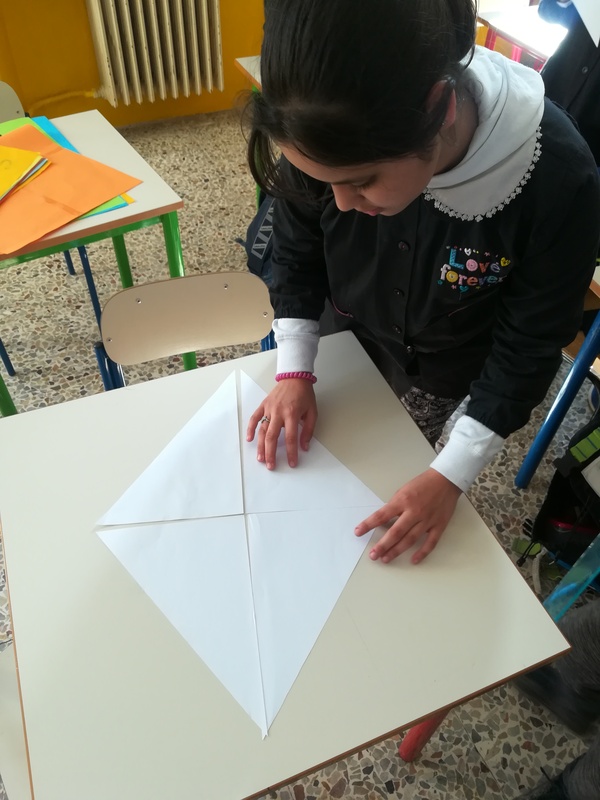 After studying the characteristics of the right-angled triangles, we discovered that four right-angled triangles joined together gave life to another geometric figure: the rhombus. 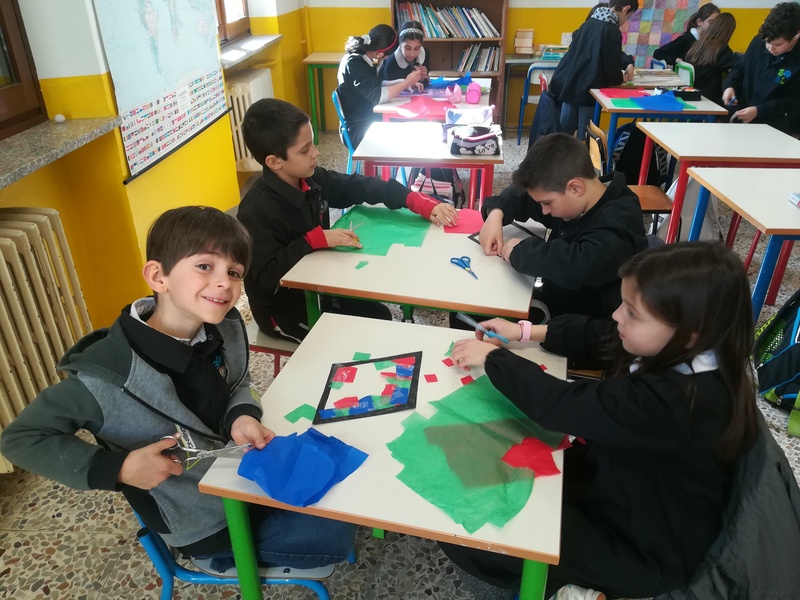 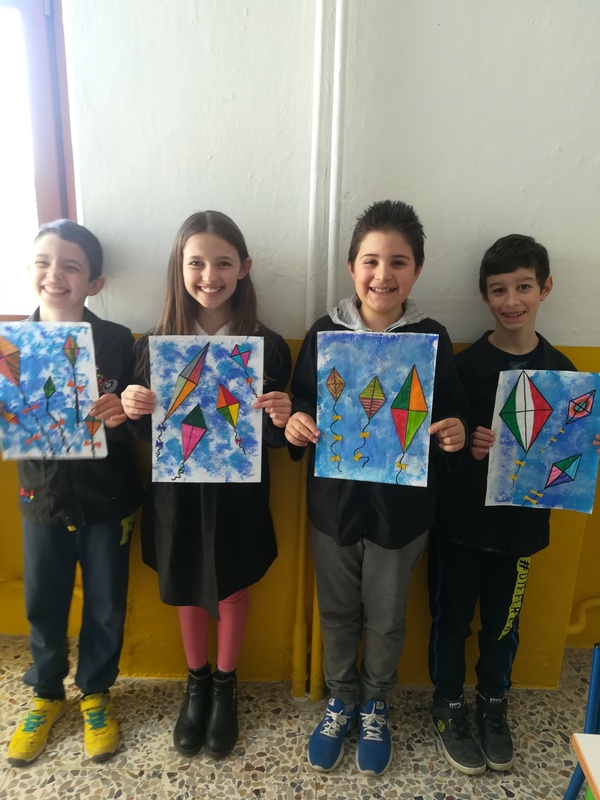 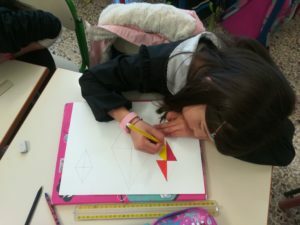 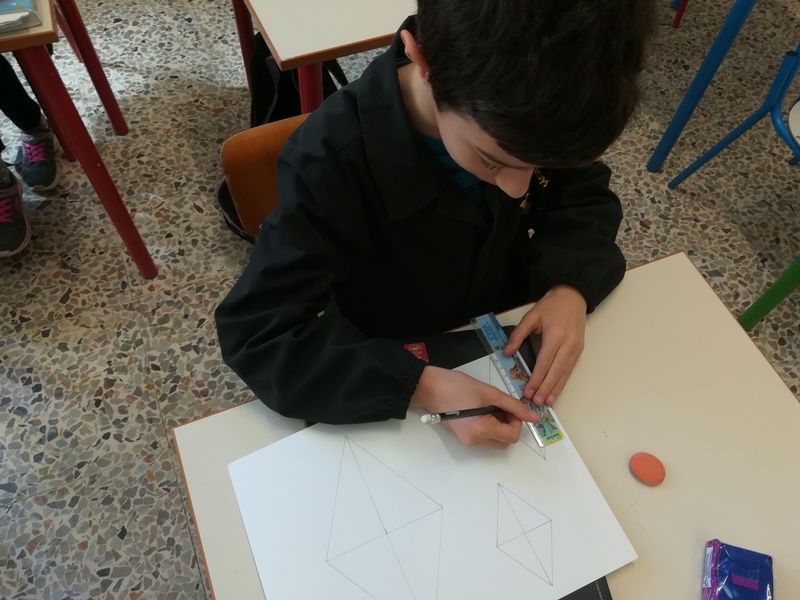 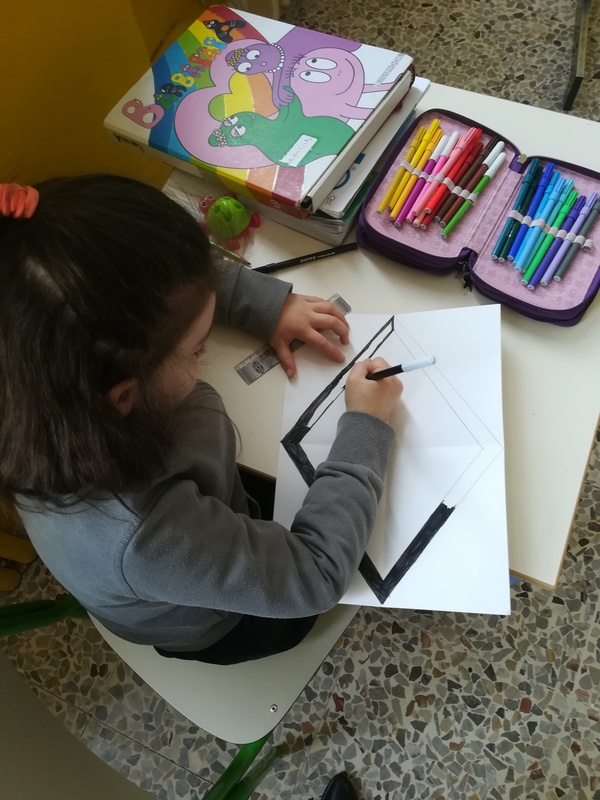 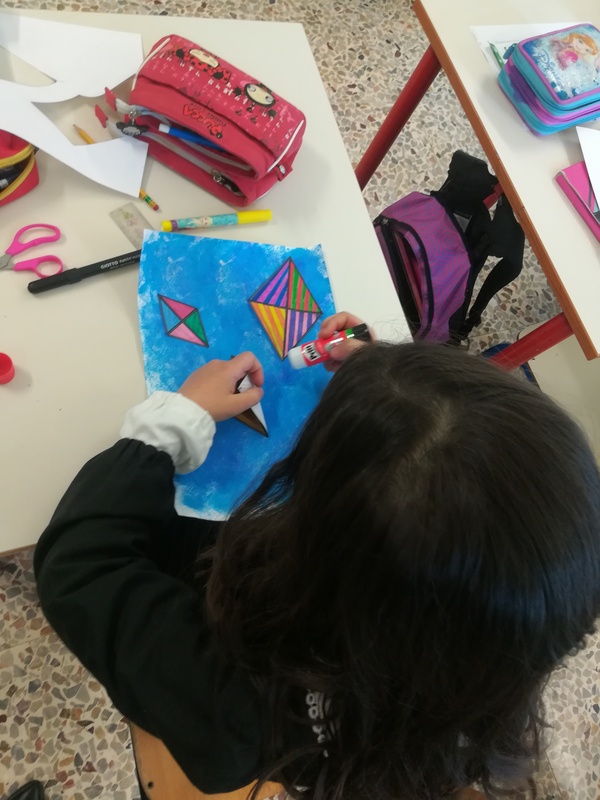 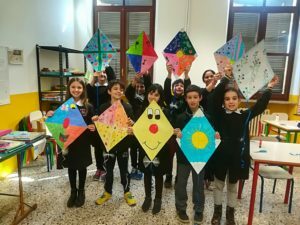 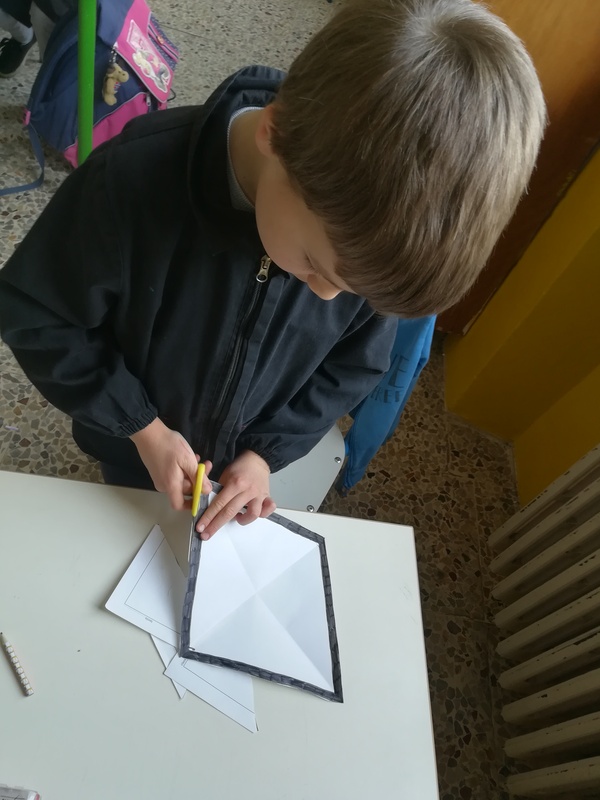 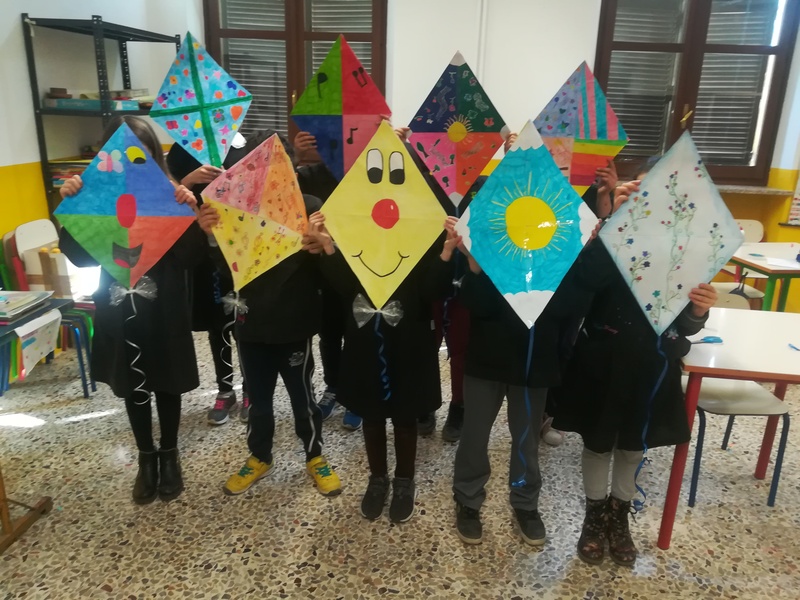 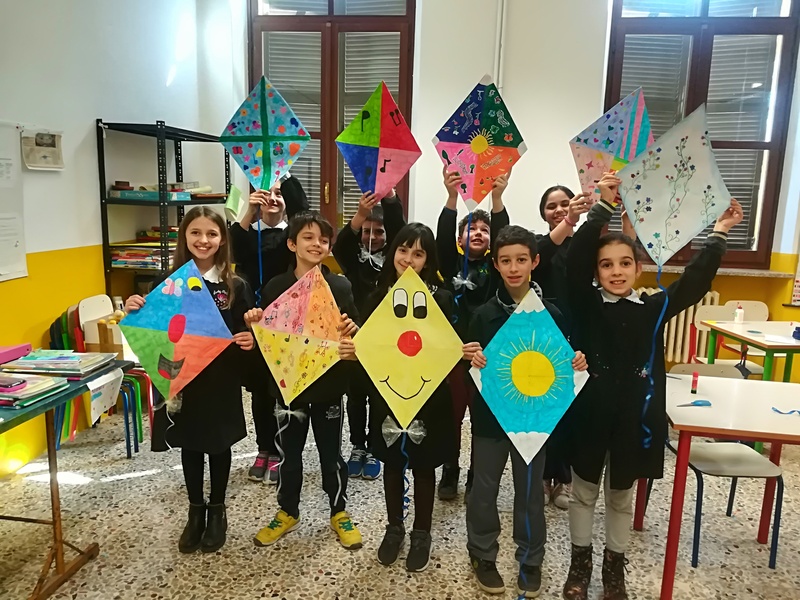 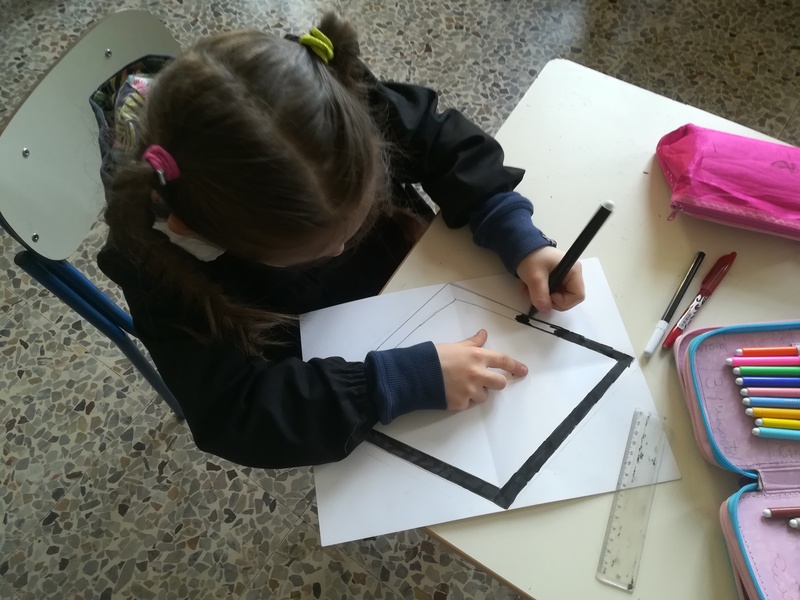 We have also discovered that this shape is typical of kites and we indulged to build colored ones with our right-angled triangles, to decorate our classroom. 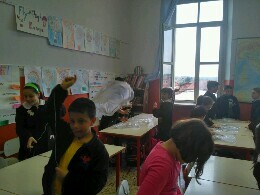 We also tried to build kites using garbage bags, toothpicks and string. 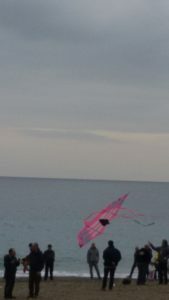 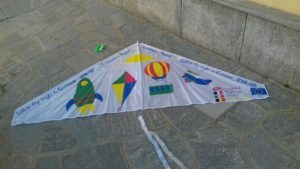 We have thus obtained kites, not very beautiful (we admit it), but perfectly flying and with a minimum expense. 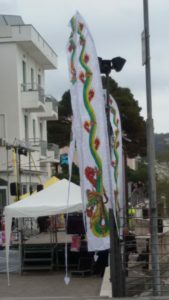 to take her to the Spotorno Wind Festival in Liguria on Sunday 10th March. 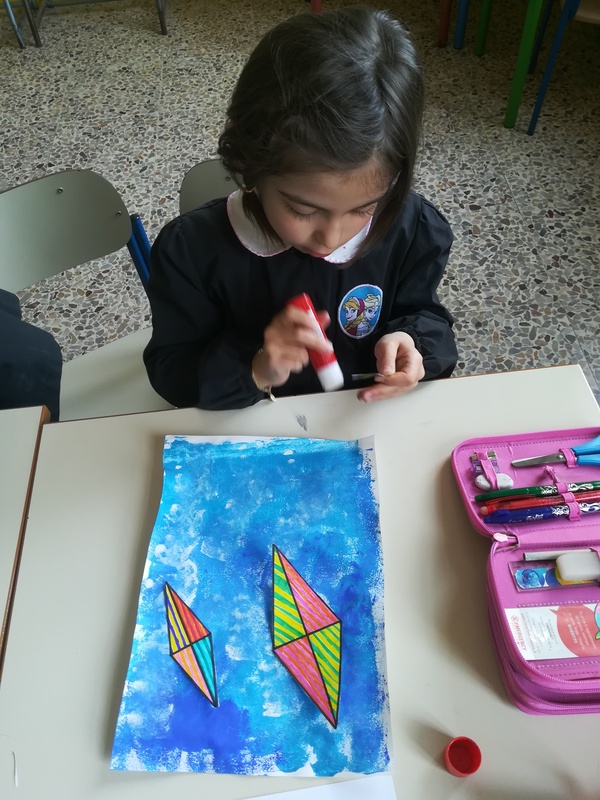 She brought us these beautiful  photos!Thank you, Giorgia. The kids sent an e-mail to a gentleman called Edo, who makes kites as a hobby. 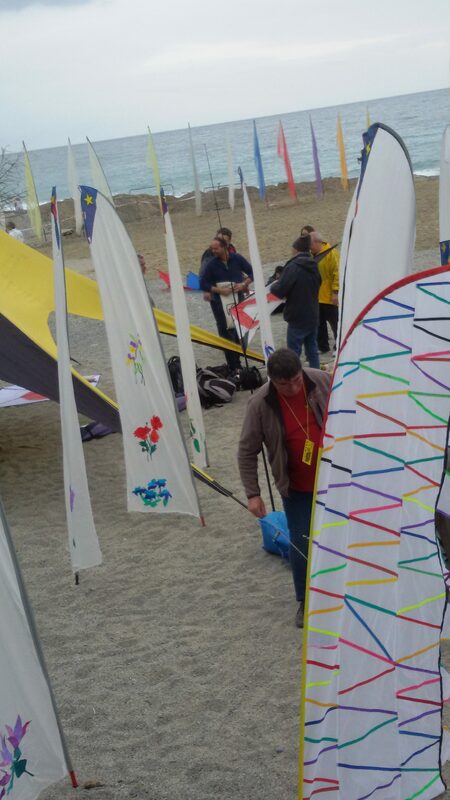 He gave them a lot of information about the different types of kites. 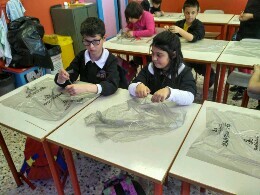 Moreover he helped them to explore the materials suitable for kite making. 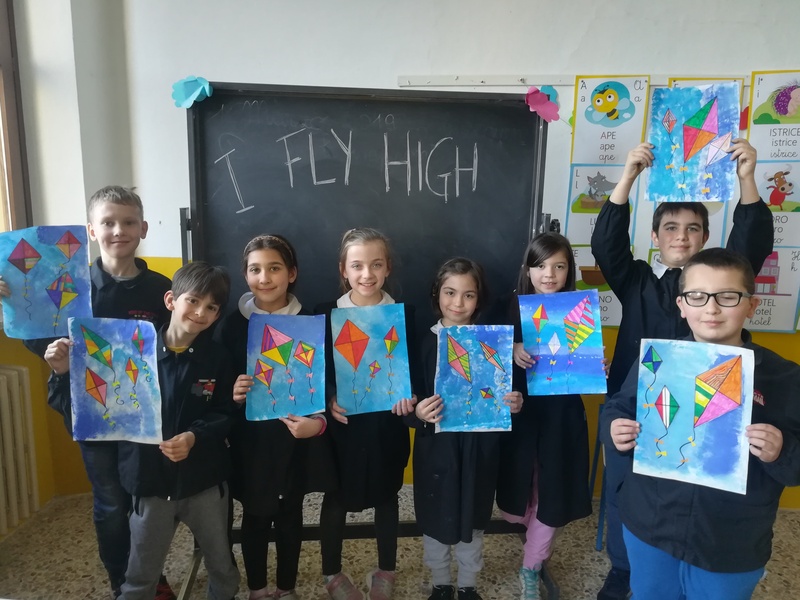 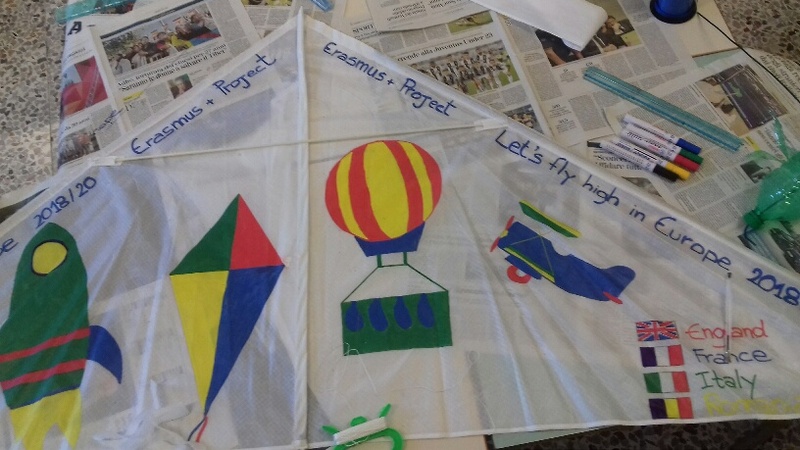 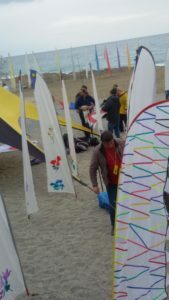 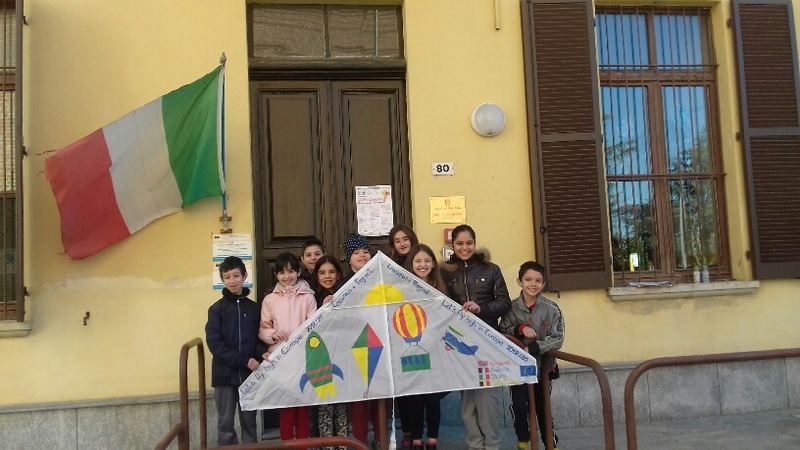 We decided to buy a handmade white kite from Edo and to personalize it with the logo of the project and the flags of the four countries involved: so, now we have our ” Let’s fly high in Europe” kite. 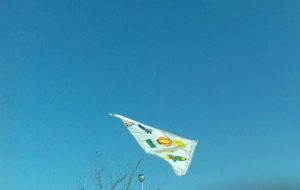 The children love it and they enjoy themselves very much flynig it up high in the blue spring sky! 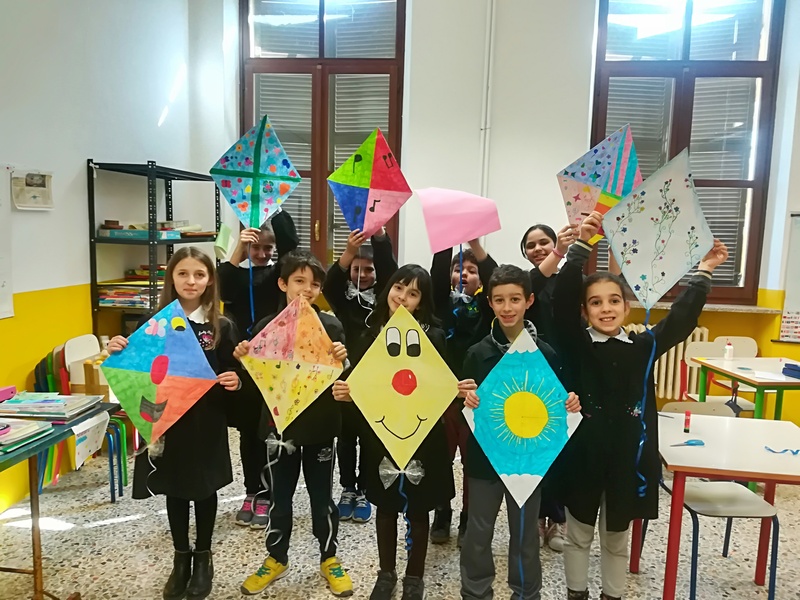 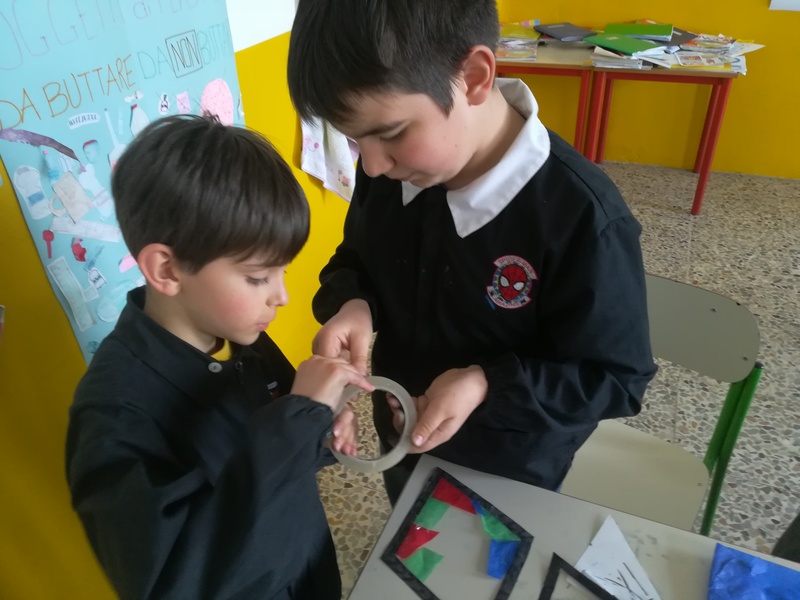 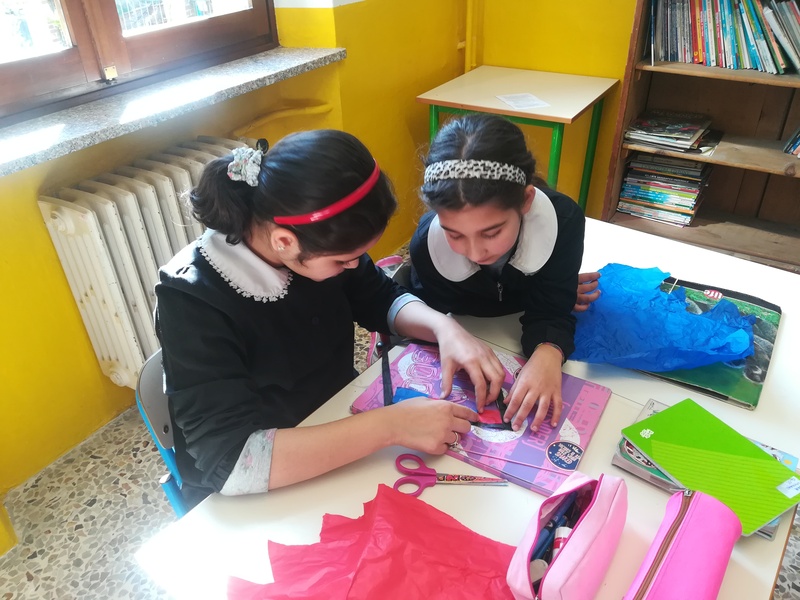 Through the kite topic and planned activities, this time the kids had the opportunities to develop their mathematical thinking and skills. 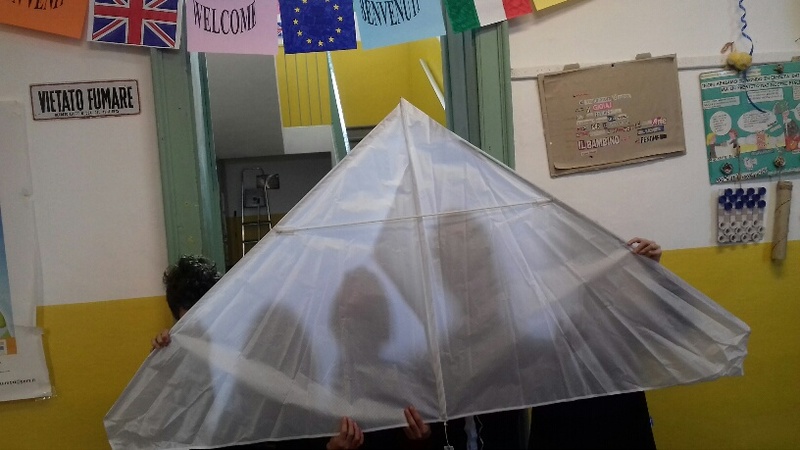 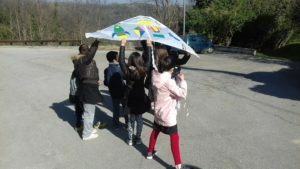 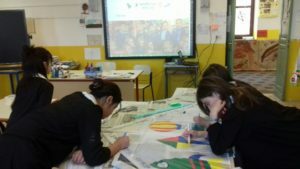 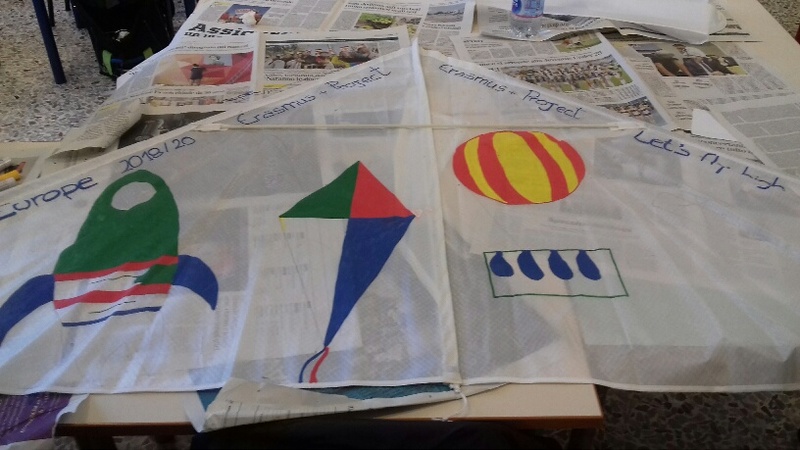 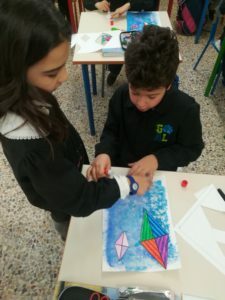 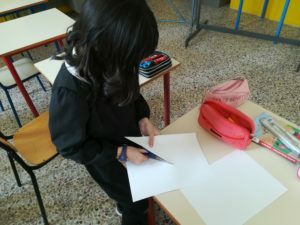 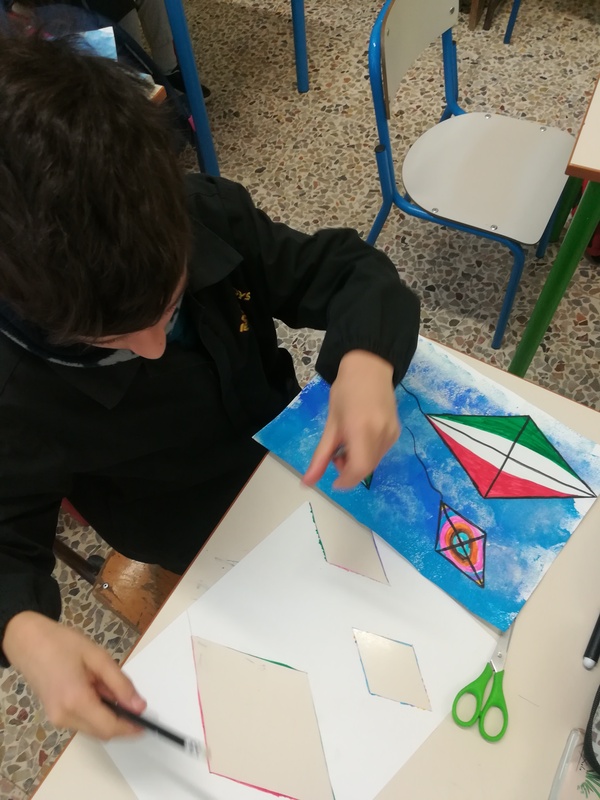 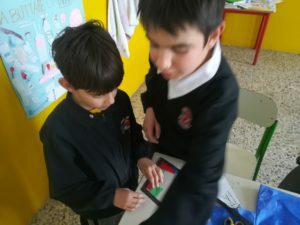 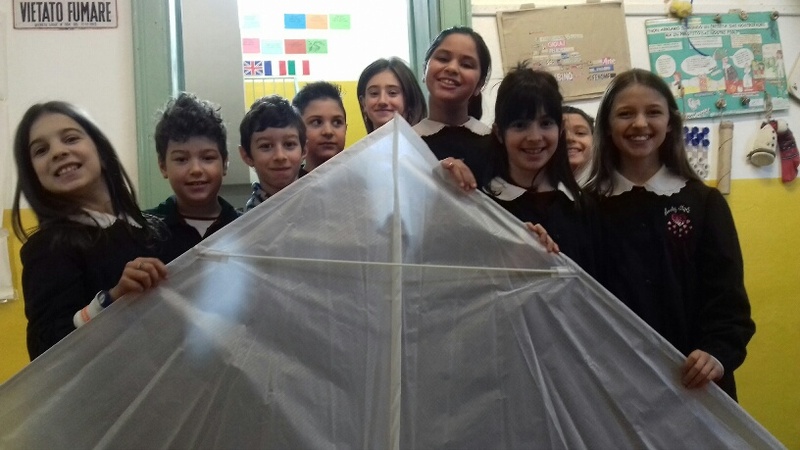 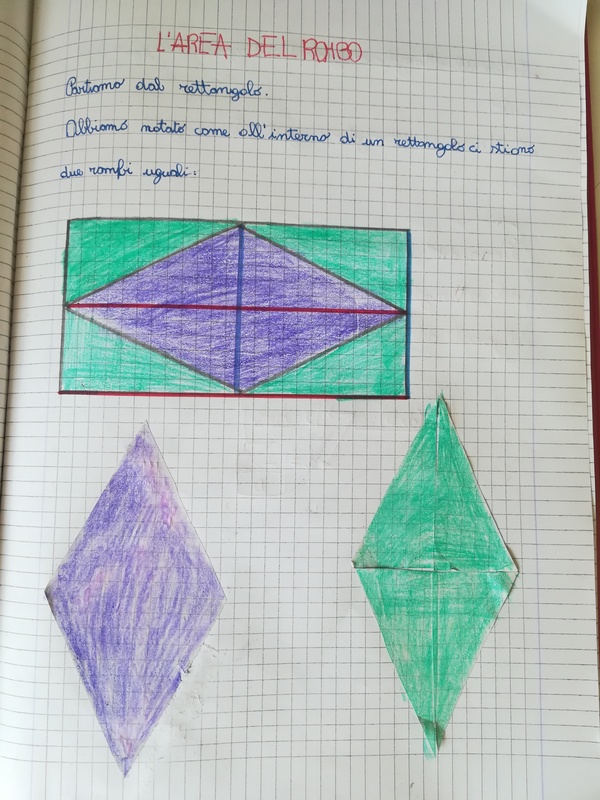 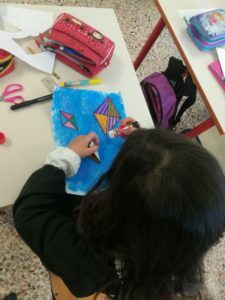 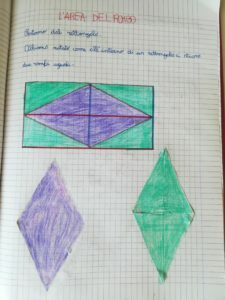 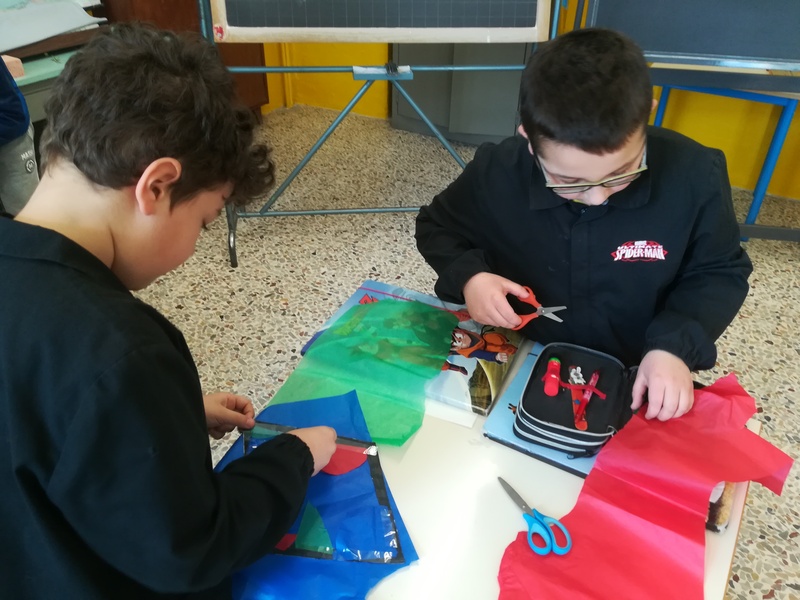 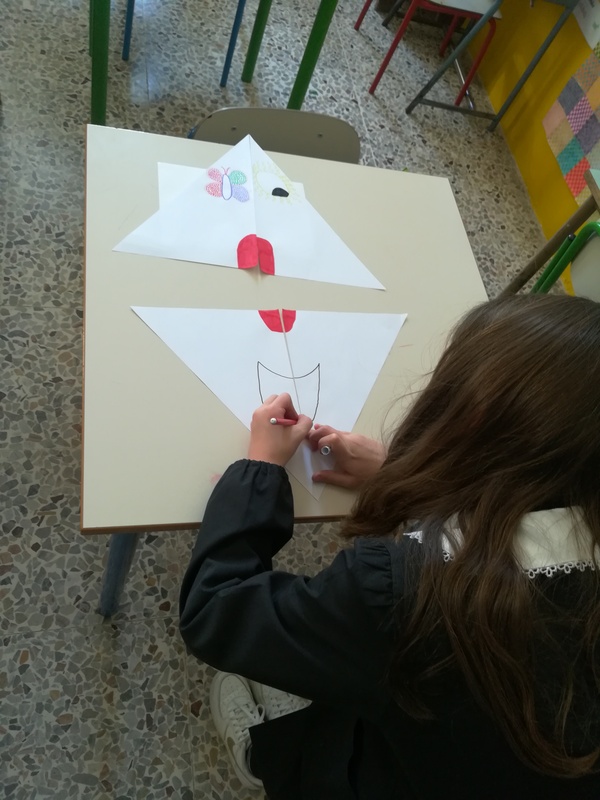 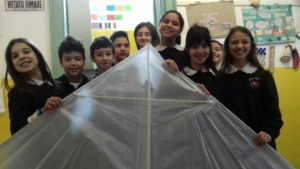 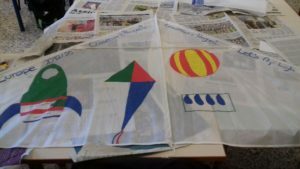 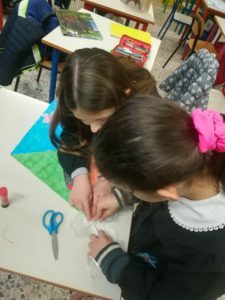 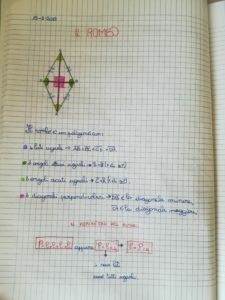 During the lessons, they studied the aerea of the rhombus and then they created beautful kites. 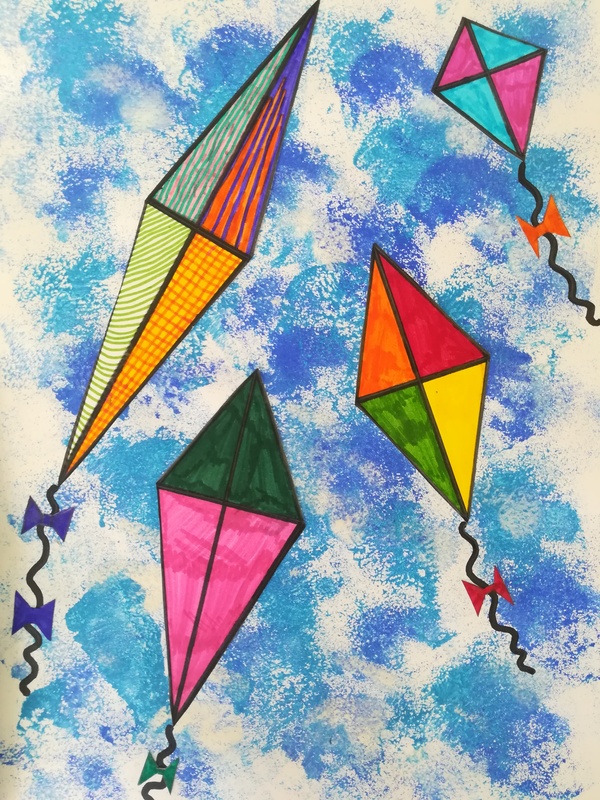 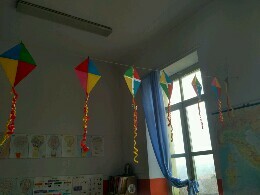 The kites werealso used to decorate a little theatre where they performed a concert on February 25th for the parents after a music course. The childern created wonderful decorations for the windows of their school. 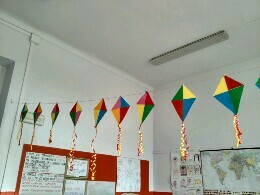 With colourful tissue paper, they made beautiful kites. 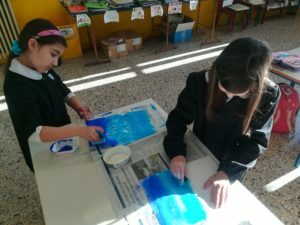 The rays of the sun wll make them shining bright. 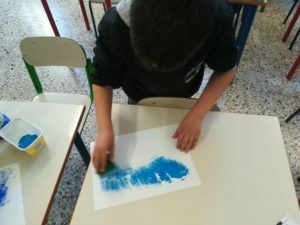 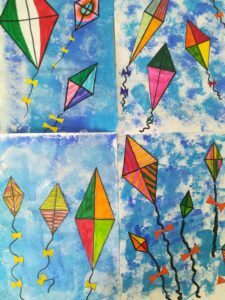 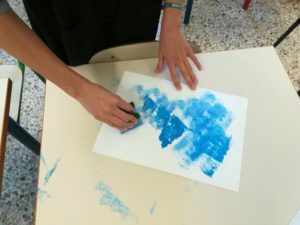 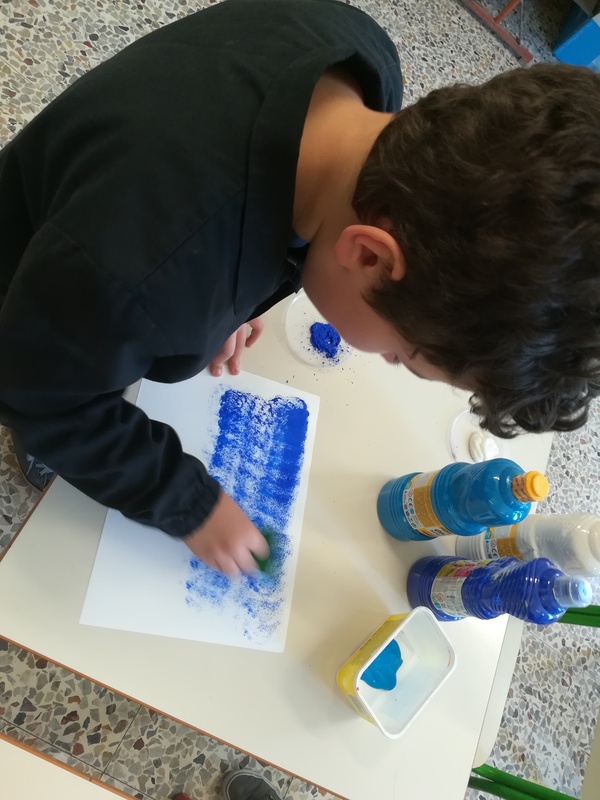 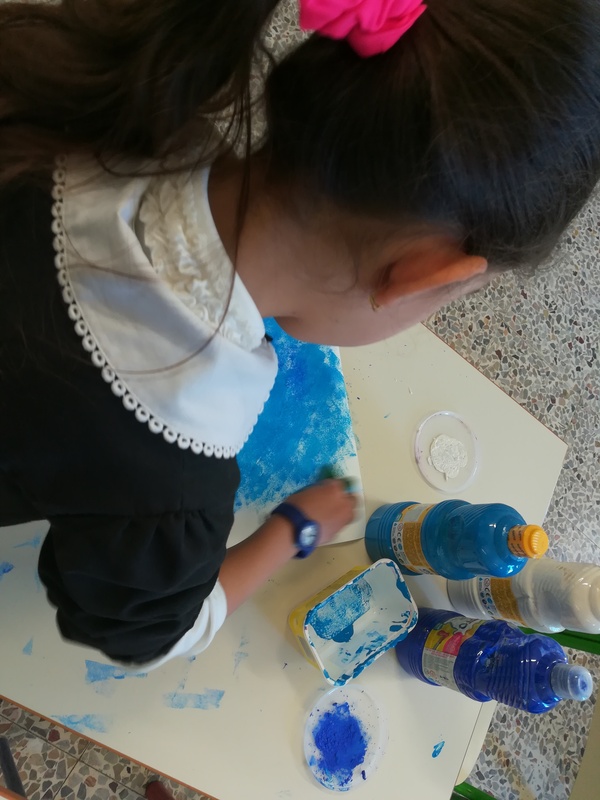 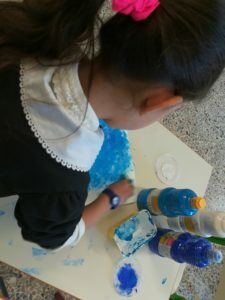 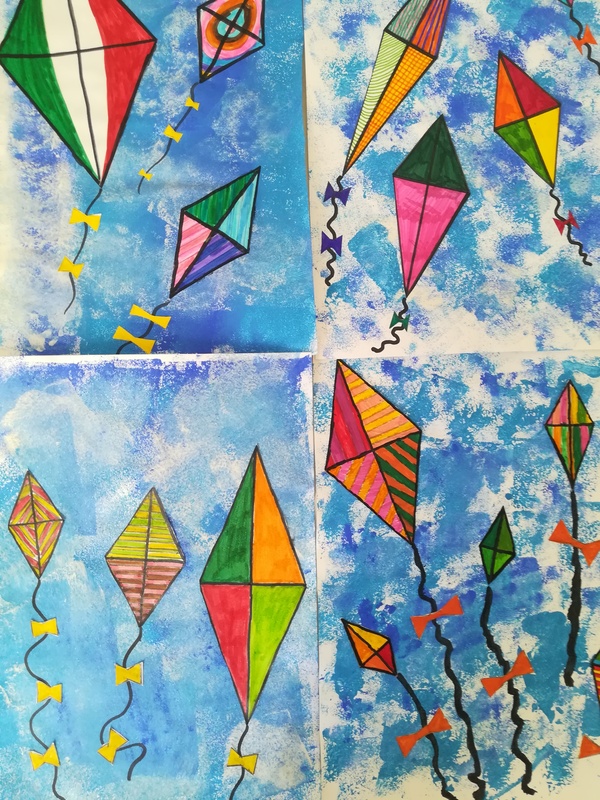 The kids really enjoyed this art workshop: they first created a base of colour with a sponge to paint a fantastic blue sky for their kites. Then they cut the kites form a piece of paper and stick it on their masterpiece.